From when a child is born, until he or she is about five years old, they will take in the most, learn the most and mentally grow the most of their entire life. A child’s brain is a sponge and they just soak up everything you throw at them. This age is when they learn to talk, and also the best time to teach them multiple other languages. It is the best time to introduce them to sports, and also to the arts, so they can find their passion and start developing it from a young age. Fortunately, many toy manufacturers have realised this integral part of children’s lives and are designing more and more toys that will enable children to have fun and learn at the same time. So what is the latest one that can help your kids grow? Many manufacturers have released various flash card products aimed at helping kids to learn from a young age. Flashcards generally consist of images and words that help kids commit concepts to memory and then put them into practice. Though they have been around for some time, they have improved over the years, as the knowledge of kid’s learning abilities has also improved. Different sets aim for different results. A child’s imagination knows no boundaries – and imagine if you could not only capture things how they see them, but also help them develop the way they capture ideas so you can keep their memories forever. Manufacturers have newly released a range of digital cameras, aimed at children. With special, non-breakable cases, they enable kids to start developing their passion for imagery early. Iphones and Ipods offer a range of applications that cater specifically to kids. Many of them are free and you will be able to find apps to help with maths, languages, reading, coordination and a variety of other areas. Reasonably cost effective, an Ipad will also help them understand how to be gentle and careful, and introduce them to the most advanced technology, at a young age. Many online toy retailers sell everything from children’s clothing through to accessories and learning devices. Most also sell a great range of educational books for children. Incorporating the latest ideas in teaching, combined with graphics and features that will keep kids entertained and intrigued, and help them to understand new ideas quickly and easily. The next step in computer games and playing consoles is the Wii. Enabling users to move freely, simply holding a sensor, it teaches coordination among a range of other benefits. 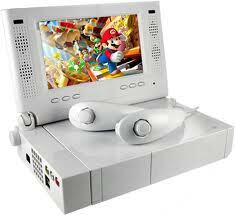 Wii is a particularly great tool for teaching kids, especially in the early stages. With a range of games designed specifically for younger users, it targets anything from maths and science through to reading and writing. Also covering the arts with singing and dancing, technology like this is a great addition to your child’s learning schedule. Yes, very true. Kids are very brilliant today. i've always bought educational toys for my kids when they were quite young..